THE GALAXY EXPRESS: Whee!! I Have A Kindle! Whee!! I Have A Kindle! Yes, 'tis true: I now have a Kindle. A recent string of good luck, in combination with the new low price of $139.00, enabled me to purchase my very first e-reader. I’ve wanted one for a very long time—even before e-readers existed. You see, one of my favorite places to read is on my back, on a bed. For years I would daydream about reading stories on an electronic device that would either be embedded in the ceiling or hang from it, mostly so my arms wouldn’t get tired holding up a book. Well, now that dream is even closer to reality, ha ha! After opening the package, I couldn’t believe how tiny it was. Practically like holding a large postcard. The new plastic smell was so strong I ended up sniffing my Kindle about five or six times while it was charging up. Yes, I’m primal like that. 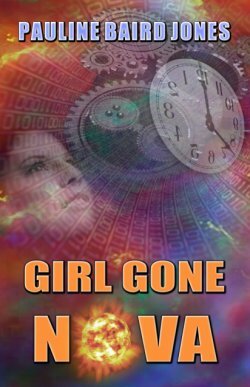 The first ebook I loaded onto it was Pauline Baird Jones’ GIRL GONE NOVA. What timing, too, because this book was next in my queue of ebooks to read. I’ve been frustrated the past eight months or so because my digital TBR pile has been really piling up, but I was limited to reading on a desktop at night. I don’t get headaches, but as the evening goes on, eye strain was becoming an issue. Plus, I was stuck in a chair that wasn’t conducive to a relaxing position. During the day, I’d read my paperbacks as time permitted. Now, I have the choice of reading print or digital during those periods my daughter wants uninterrupted time to do her role plays. I really love reading on an e-reader. I love that it’s so light and that I can hold it in one hand in between advancing to each page. While reading GIRL GONE NOVA, I also read the text a lot faster—partly excitement, I’m sure, but I remember reading about a study that revealed people read electronic documents faster than paper ones. Regardless, I had no trouble becoming totally absorbed in the story. Didn’t miss the print book experience at all. It was just the story and me. It almost goes without saying that there’ll be an explosion of e-reader sales this coming holiday. All of those readers will be looking for something to read, and seems to me that’s a good thing for science fiction romance. I know I’ll be buying a lot more ebooks. What about you? Will you be putting an e-reader on your holiday wish-list? If you already have one, what’s been your experience with it?